The left view of Mars shows the south polar cap and Hellas Basin. The dark areas are called Sinus Meridiani and Syrtis Major. 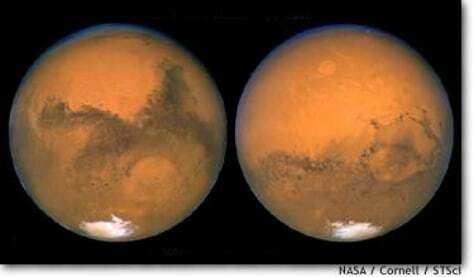 The right view shows Valles Marineris stretching across the middle.